VapeOnly Mega BCC is bottom coil changeable atomizer, which features flat tip mouthpiece, bottom coil, 3 piece replacement coil unit, 3.5ml large e-liquid capacity, and it can fit on most batteries with 510/eGo threading. • It does come with e-juice. • There is "1.8Ω" "2.2Ω" "2.5Ω" laser in the metal of the coil unit. This is VapeOnly's take on a bottom coil clearomizer with a 3.5ml capacity and coil heads that are similar but not compatable with Protank models. 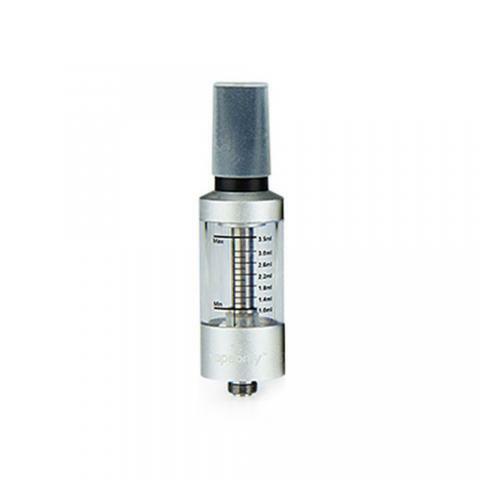 This tank does not leak, provides a warm and flavorful vape and is 510 threaded for use on many devices. VapeOnly Mega BCC Cartomizer is a 3.5ml flat mouth piece tip clearomizer. It is available in varying colors and about 3 changeable coils of 1.8ohm, 2.2ohm and 2.5ohm of coil units. It has a length of 70mm and diameter of 19mm.